Czechoslovak Independence Day is a public holiday in the Czech Republic, marking the founding of the Czechoslovak state back in 1918. 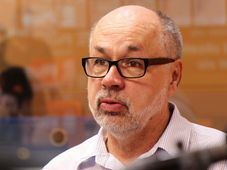 For this special programme, I am joined by noted Czech historian, and expert on all matters Czech and Slovak, Professor Jan Rychlík. Thank you very much for joining us today Professor Rychlík. In a previous special we spoke about the formation of the Czechoslovak Republic. So I thought that this time we would try to look at how Czechs and Slovaks lived together in their united country. And later we will also examine the split. My first question is: in their almost – what was it, 90-year union? – how well did Czechs and Slovaks manage to live together. There was an idea among some Czechs that they were “carrying the load” for the Slovaks. During the existence of Czechoslovakia, was an effort made to ensure that Czechs and Slovaks were equally represented in the highest positions of the state? For example, we had Gustav Husák, a Slovak, as the last communist-era president. “There was something in existence called the ‘Slovak quota’. It meant that roughly one-third of key posts in the federal government were reserved for Slovaks. But I don’t think that this was so important for Slovaks. Because back in their country, the Slovaks who had gone off to Prague were viewed as kind of traitors – people who are not really representing Slovak interests. My view is that is was impossible really for two fully conscious nations, as the Czechs and Slovaks were in the 20th century, to live together permanently in one state. All multi-national states fall apart eventually. And Czechoslovakia was no exception, because if you have two nations living together permanently as one state, then they must be joined by some kind of idea to keep them together. In the 19th century, they were united by the notion of language proximity. Once it became obvious that language proximity was not enough, there was no other idea to hold these two peoples together. Czechoslovakia is a very catchy name, right? To this day some people even think the country still exists. That name must have been useful to broadcast to the world the existence of this state? “The problem was that both by the Czechs, and by the outside world, Czechoslovakia was considered to be the Czech state. To this day people mix up Czechs and Czechoslovaks. Which of course makes the Slovaks furious. Rightly so. Czechoslovakia was a neologism. It didn’t exist prior to 1914. 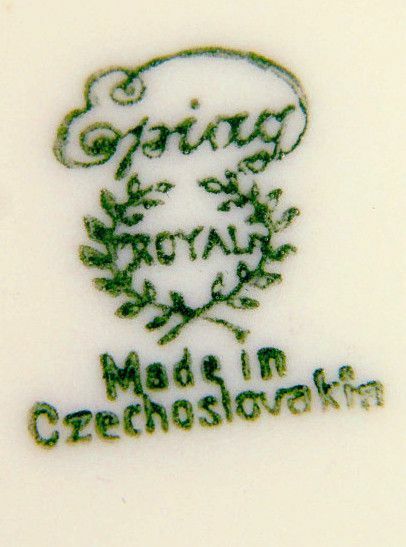 It was first used by the French in 1916 as the Czecho-Slovak National Council. By the way it was a Slovak politician, and later Czechoslovak minister to Paris in the inter-war period, Štefan Osuský, who insisted that the name of the exile organisation could not be National Council of the Czech Lands. He insisted they were not part of the Czech lands, and never would be. “By the way, in Slovak orthography it is written differently. It is hyphenated and with a capital ‘S’. And that is not a question of orthography, but a matter of conception. 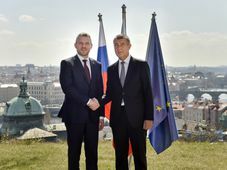 The Slovak high officials in Prague, and especially Slovak ministers, usually considered themselves not as high officials of the Czechoslovak state but rather as some kind of Slovak envoys to the federal government. Needless to say that was wrong. Because the state could not exist with such a system. Which is why many Slovaks then came to view such officials as selling out to the Czechs. Do you think that the fact that the Slovaks sided with the Nazis in 1939 and became a separate client state – did that cause tension later? Did some feel that they had split the country, willingly, and gone over to the enemy? So any kind of “Nazi sympathiser” label is unfair. Absolutely. The wartime Slovak Republic – despite the fact that it was fully dependent on Germany, and that its sovereignty was limited and had to partake in the war against Poland and later the Soviet Union – did play a role in the idea of Slovak statehood. Because for the first time in their history, they had their own state – albeit a highly problematic one, of course. So they realised that they could live separately, which was not a clear idea before the war. Many Slovaks had been afraid to have an independent state because they worried it would be too small, with a strong Hungarian minority population, and so an alliance with the Czech was needed to make them stronger. And was there a difference between Czechs and Slovaks in their views towards the Soviet Union? Because presumably in the build-up to World War II, such small countries were stuck in a Catch-22 no-win situation of having to either ally themselves with the Nazis or with the Soviets. Could Slovakia have existed as a separate communist state after 1945? “Technically, yes. But that was not in the interest of the Soviet Union. We know today that some Slovak politicians – and not only communists – were proposing something like that. But the Soviets were not interested in such a solution. My opinion is that Stalin simply saw that as a ‘bad example’ for the non-Russian nations in the Soviet Union itself. Because if you can have an independent communist Slovakia, then why not have an independent communist Lithuania, Estonia, Ukraine, Belarus and so on? So this was of no use to the Soviets. Additionally, in 1945 Stalin still needed the West to see him as someone they could trust. And such an open violation of the international treaty concluded in 1943 with Edvard Beneš would be a very bad advertisement for the Soviet government. And during World War II there was a government in exile in London, led by President Beneš, but then also at the end a Soviet-backed ‘Košice government’ in liberated eastern Slovakia with the communist Klement Gottwald...? “No, the government in Košice was the same one as that which arrived from London. During the war there was only one government in exile, and even the communist Czechoslovaks in Moscow were subordinate to it. Even in 1940, Gottwald told Stalin that as far as the programme of the restoration of Czechoslovakia was concerned, he was in total agreement with Beneš. 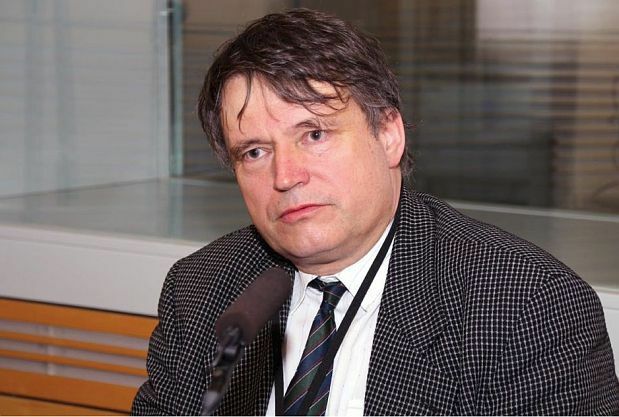 So were there leading Slovak representatives within Beneš’s government in exile? Did any such figures exist? Skipping forward to 1968. And after the Prague Spring was crushed, a re-organisation of the Czechoslovak state into more of a federation took place. Was that just a smokescreen to divert away from the major event of the Soviet invasion of the country? “That’s when a new constitution was proclaimed. And the dictatorship of Czechoslovak president Antonín Novotný – for no apparent reason he didn’t like the Slovaks. He remained in this post until 1968 when he was ousted. “Simply put, it was such an amalgamation, and their programme was the federalisation of Czechoslovakia. They believed that a federalised Czechoslovakia can fulfill Slovak national aspirations and can give them more protection and more economic freedom, because there is a bigger economic space. They simply viewed it as the ideal solution. So it was a sham. It was just cosmetic. “There was a Slovak parliament, a Slovak government. 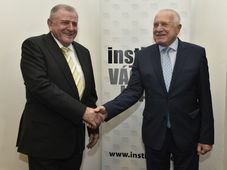 There was even a so-called no-majorisation principle – that means that in the Federal Assembly in Prague – which is today occupied by the National Museum – there had to be a consensus among elected deputies from the Czech and Slovak republics. But it was a formality, because neither governments nor parliaments made political decisions under the communist regime. Those were made by the politburo of the Communist Party of Czechoslovakia. There was one communist party and it was situated in Prague. So the only difference was that now simply more official posts and functions were awarded to the Slovak intelligentsia. Bratislava had an almost full government structure – all ministries except for defence and foreign affairs. And there was a Slovak quota in federal authorities. Let’s move forward again to 1989 and the Velvet Revolution. Many people around the world will likely be familiar with Václav Havel and Civic Forum. But there was also a Slovak anti-communist resistance called Public Against Violence. Czechs and Slovaks split up in January 1993. It was regarded almost as a model dissolution. Very peaceful. The countries were untangled without any tears or scars. So how would you describe the process of that split, and then the relationship today – with the Visegrad Group, among others, seeming to be a forum to bring these countries together...? And forums such as the Visegrad Group – do they enable the Czechs and Slovaks to have a common forum for their positions? Professor Jan Rychlík, thank you very much for joining me for this special Czechoslovak Independence Day programme.